An unknown amount of time has lapsed. We could have been here in the heart of the dragon’s domain for days or mere hours. Our party makes its way to the pool at the base of the helix and dive into the eye of the maelstrom at its center. Instead of drowning, I find myself falling into an open cavern and quickly deploy my glider. Just as I meet up with the others, our team is ambushed by Mordrem. We have to get to Trahearne! I and the others fight our way down to a subterranean chamber filled with writhing vines and a luminescent green mist. Amidst the clinging tendrils, I see the form of Trahearne with his lower half bound to the tree. He is awake and able to communicate that the dragon is deeply embedded in the world. Cutting down its forests will not keep the roots from growing back. I can’t help but think of the research at Rata Novus and the idea that the manipulation, even destruction, of its physical forms will not slow the dragon’s conquest. All the while the voices from the Mists echo through my head, including the cruel, slinky laugh of a young man. “You’ll never figure it out,” it sneers. Trahearne nods in agreement. His connection to the dragon has allowed him to open a portal into the beast’s mind. We’ll have to take the fight to the enemy’s home turf: a infinitely more dangerous dream world capable of being warped to Mordremoth’s will. Rytlock and Marjory volunteer to stay behind and protect us from the Mordrem troops who are bound to try to interfere. They also insist on keeping an eye on Trahearne in case he succumbs completely to the dragon. Trahearne has only enough energy to transport myself and two others via telepathy into the dragon’s mind, so I choose Braham and Canach. The young Norn is eager to avenge his mother and I feel Canach would benefit much from having a more direct impact in defeating his tormentor. I feel like a helpless child spinning through the brilliant green void as I enter Mordremoth’s mind. I finally land in an arena like area surrounded by arching vines. The others are with me as I look on to see Eir and her trusty wolf Garm approach us. There is something strange about her. She seems taller than in real life and her appears to ripple along with the dreamscape. When she talks to us, it’s not with the self assured grin of an old friend, but the cold sneer of an enemy. We stare in horror as she and Garm ready their attacks and charge us. Our struggles have only begun. 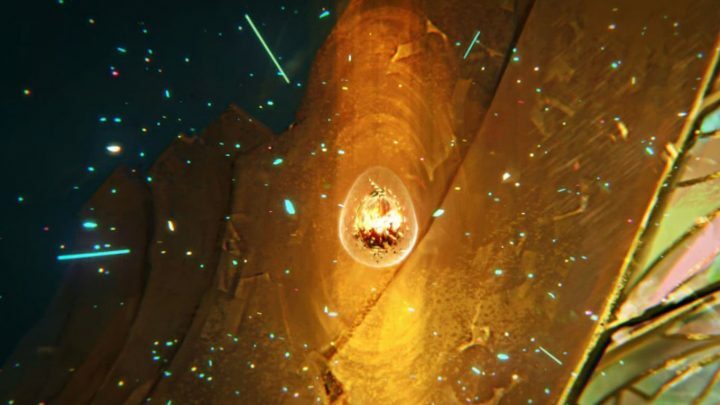 We are able to target Garm’s shade as a source of weakness in defeating the shadow of Eir by drawing her into a Reality Rift, a crack in the dreamworld. As soon as she falls, another all too familiar illusion takes her place. A mirror form of Canach now looms before, vicious and with the same sickly green pallor as the real person standing next to me. The dark vision taunts the real Canach, reaffirming it is his duty to serve Mordremoth and without such service, the sylvari are drifting wanderers without purpose. 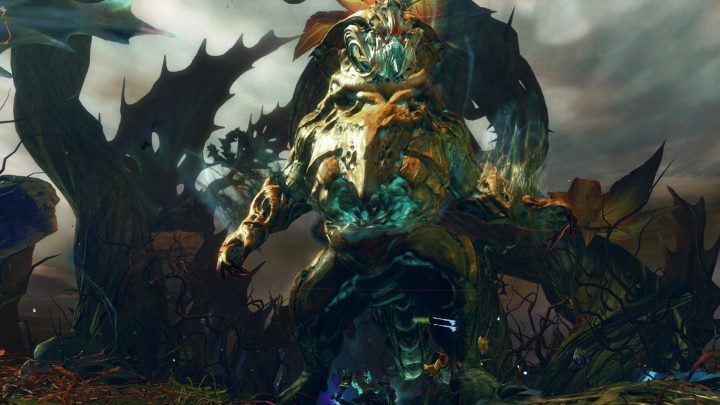 Canach fights bravely, but eventually crumples under the pressure of Mordremoth’s commands. He hands me his shield with which to fend off his double’s attacks, and eventually the nightmare form dissipates under our retaliation and is sucked into a similar Reality Rift. Apparently having exhausted his imagination on minions to send at us, Mordremoth shows himself at last. His bulbous form belies his emphasis on brains over brawn as he strides toward us, already proclaiming himself the victor. Ley energies flow over the area and the dragon temporarily disappears to summon a dark version of Rytlock. However, once we lure this Blighted Rytlock over to another crack in reality, it seems to turn against its master. These assaults continue, and are turned to our advantage every time we open a Reality Rift as the dark versions of our allies revert to their benign forms. The ground intermittently becomes hazardous with crackling energy, forcing our team to take to the air to avoid serious injury. After finally converting a blighted version of Trahearne against its host, I tap into what would be the final Reality Rift. As the crack stretches across the area, Mordremoth panics. The next hits stun him and he goes down in a heap. The green of the zone has turned to a blood red mist, the plant life wilted and brown with impending death. I deliver the deathblow and find myself awakened on the other side of the dreamworld. Canach confirms the voice in his head is silent and even the voices from the Mists, once a deafening throng, are now quieted. 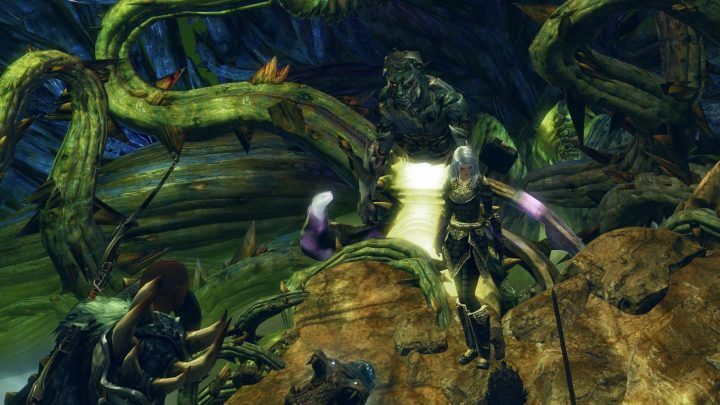 A black shadow crosses the sylvari’s features as the dragon speaks through him. I lift the sword, the horrible truth finally revealed. As long as Trahearne lives, so too does Mordremoth. The only way to truly ensure the safety of the world is to end Trahearne’s suffering. The ornate weapon lands clear and true across the Marshal’s form, ley energy bursts forth spreading rapidly out across the landscape. 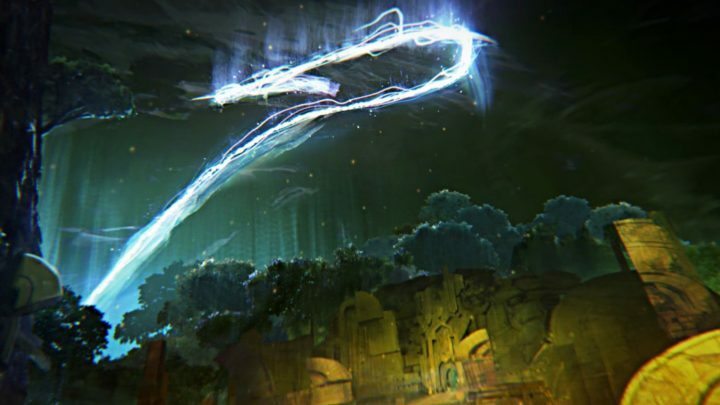 The Luminate of the Exalted based in the lost city of Tarir would later report to me of vast quantities of energy pouring into the city toward Glint’s Legacy. Movement from within the benevolent dragon’s egg was also seen as gestation commenced at a rapid pace. I am still waiting on reports from Taimi in Rata Novus to see if any of the ancient asura technology has revealed new information on the Elder Dragon race. We have defeated two of the beasts now with still four left to terrorize the world. I make my way home via the regional caravans that seem to be ever present no matter where I travel. 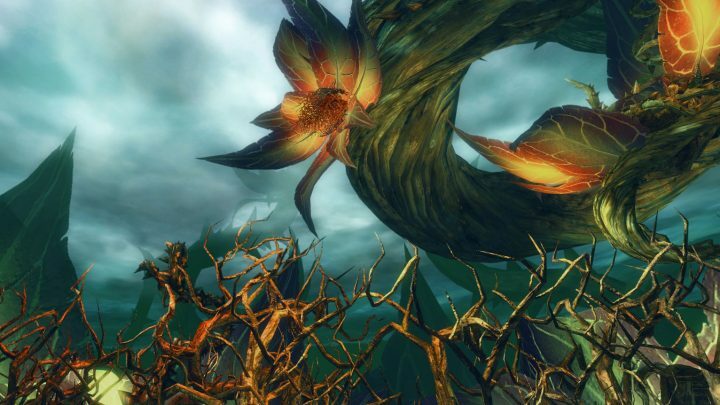 The sylvari seem to be slowly welcomed back to society and I notice the fields of Shaemoor seem more verdant than ever. I can’t help but wonder if some part of Mordremoth’s essence is still hidden away in these innocent places. Which of the Elder Dragons will awaken next, or what powerful figures lie buried in the Mists. After some research, I finally come to the conclusion that the male voice I’ve heard but never showed itself might be the famed assassin Shiro Tagachi of Cantha, but I can’t be sure. As Logan escorts me in his finery to a private audience with the queen, much of the future feels like it’s shrouded in mist. It will be up to me to shed a light upon it and uncover its secrets.